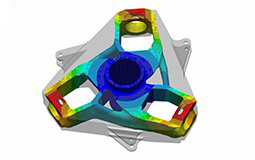 ANSYS Mechanical has intelligent meshing technology, enabling you to rapidly obtain optimal meshing on every model. Automatic, intelligent algorithms ensure that high quality meshes are generated, and it’s easy to add controls for fine-tuning as needed. 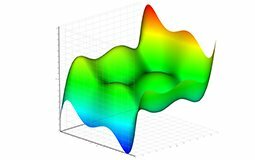 A complete range of analysis tools is available to analyze single load cases, vibration or transient analysis; you can also examine linear and nonlinear behavior of materials, joints and geometry. Advanced solver technology with Autodyn and LS-DYNA enables you to carry out drop, impact and explosion simulations. AQWA, along with the offshore simulation capabilities in ANSYS Mechanical, provide industry specific capabilities for engineers designing for marine environments. 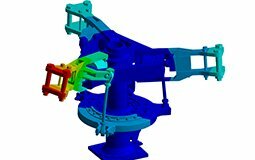 ANSYS Mechanical has all the tools you need to carry out strength analysis of parts and assemblies. It has the ability to account for bolt-loading, stress caused by temperature variation and physical loads such as pressure, forces, moments, accelerations and displacements. The response of the structure can be evaluated in terms or displacement, stress or strain on an assembly or part level. This helps predict your product’s performance once in service. ANSYS Mechanical simulations help you understand how your designs will respond to vibrations from phenomena such as brake squeal, earthquakes, transport, and acoustic and harmonic loads. ANSYS Mechanical gives you a platform for single physic and multiphysics simulations to help you overcome your toughest vibration challenges. Thermal management is a key concern in product design as the Internet of Things, wearable electronics and other product design trends condense heat-generating electrical components into smaller and smaller packages. 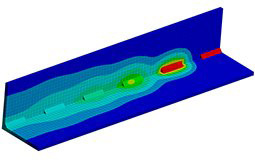 ANSYS tools provide an environment for highly-accurate thermal simulation, including convection, radiation and conduction loads, as well as the effect of power losses and thermal energy from friction and other external sources. Vibration and fatigue can severely impact maintenance costs and the life span of your products. 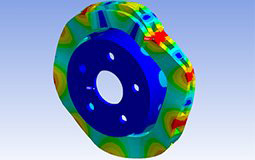 ANSYS Mechanical solution and ANSYS nCode DesignLife analysis provide the integrated tools needed to identify potential vibration, mechanical and thermomechanical fatigue hotspots and improve product durability. Mechanical systems often contain complex assemblies of interconnected parts, such as suspension assemblies in ground vehicles, robotics in manufacturing processes and landing gear in aircraft, Simulating the movement these systems is expensive, both in time and computational resources. 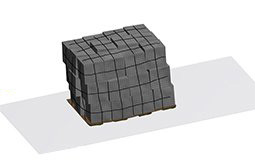 ANSYS Rigid Body Dynamics provides a faster, less expensive and more efficient solution in the highly productive and easy to use ANSYS Mechanical. The design requirements for offshore structures can differ greatly from traditional land-based constructions. 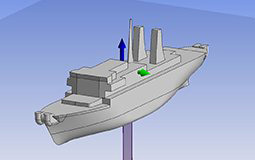 ANSYS Mechanical provides the tools for accurately simulating the load and effects of waves, currents and wind based phenomena. You can define the level of detail you need, from simplified models for truss type structures to high fidelity simulations that include all aspects of the wave, tide and current loading. Composite materials provide new solutions — and new challenges — for manufacturers looking for stronger, lighter and innovative materials. 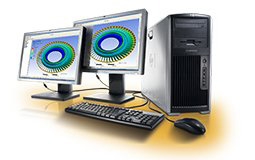 ANSYS Composite PrepPost, part of ANSYS Mechanical Enterprise, software provides all the tools necessary for finite element analysis of layered composite structures. Damage caused by collision or harsh environmental conditions can shorten a product’s life span, inflict warranty and repair expenses and incur liability risks. 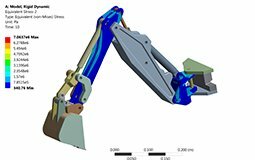 ANSYS structural analysis tools enable you to simulate mechanical, explicit dynamics and rigid body dynamics models to identify potential product deformation or damage after impact. 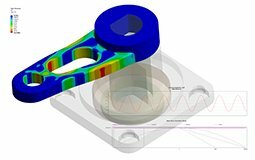 ANSYS Design Xplorer enables you to model multiple design parameters, different loading, and changes in environmental conditions in less than the time it takes to build a single physical prototype. Tools to identify then impact of each parameter and include manufacturing variability through 6 sigma methods. It enables you perform all your simulation in a single environment, ensuring the best design for any condition. Parallel processing with ANSYS HPC can significantly reduce solution time from days to hours, and makes possible large and extremely complex virtual models that were previously unfeasible. Designers can evaluate more design iterations in less time, speeding design optimization. Flexible and scalable licensing helps make HPC available to companies of any size. ANSYS Mechanical gives you the tools you need to take advantage of new manufacturing methods like additive manufacturing. 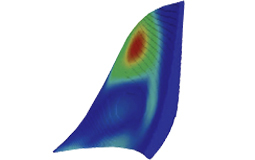 The optimal shape of a part is often organic and counterintuitive; ANSYS topology optimization technology lets you specify where supports and loads are located on a volume of material and lets the software find the best shape. You can now easily perform lightweighting of structures, extract CAD shapes and quickly verify the optimized design. Additive manufacturing is a method of fabricating complex parts layer-by-layer from a 3-D model. 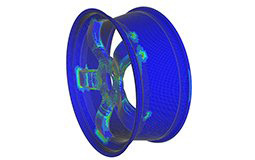 ANSYS additive manufacturing simulations help you to optimize your design for 3-D printing, determine any potential stresses or distortions in the design so they can be corrected upfront, and predict the microstructure of the part based on the thermal history during fabrication. Simulation eliminates trial and error and gives you confidence that the part can be successfully built the first time with sound structural properties.